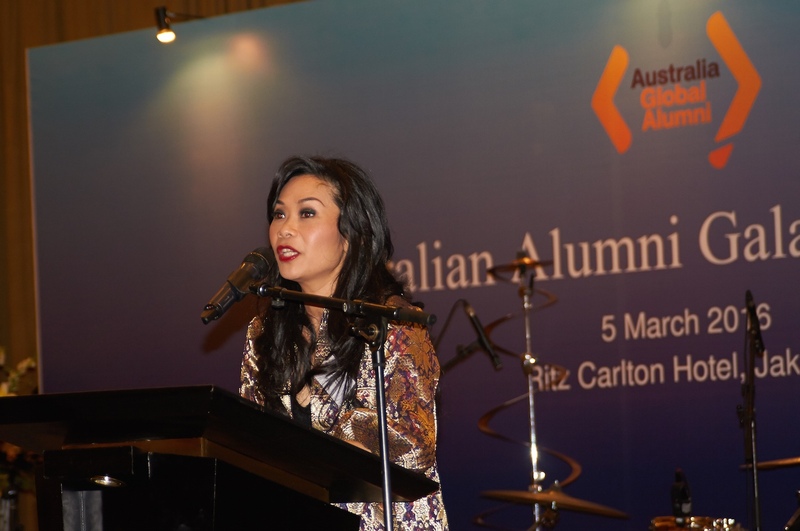 Following the success of previous Start-up Ecosystem, Australia Awards in Indonesia is inviting YOU! leaders, entrepreneurs and innovators of technology-enabled start-ups and ecosystems who want to develop your knowledge and skill in international business to apply for our two-week short course in Australia in April 2019. This Short Term Award aims to support the Indonesian government's objectives to further develop the digital economy, create a vibrant start-up community, transform traditional markets to online markets and generate more capital for start-ups. 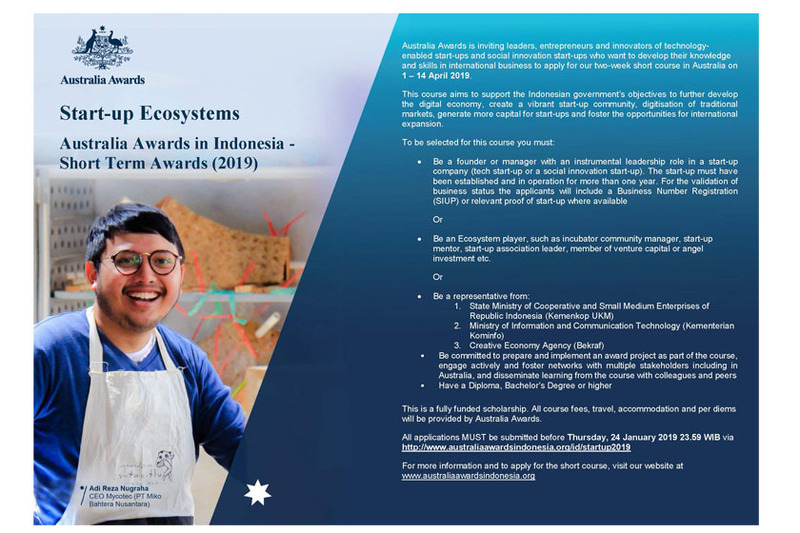 For those who are interested in applying for this Short Term Award please apply through https://www.australiaawardsindonesia.org/id/startup2019 before Thursday, 24 January 2019 at 23.59 WIB. This is a fully funded scholarship. Tuition fee, airfare ticket, accommodation, local transport, visa, health and travel insurance will be covered. Women and people with a disability are encouraged to apply.